Note: Prices are approximate and depend on US$ exchange rate. This FREE 40 page book is available for download in the form of a ".pdf" file which you can then read on screen or print out . Everything you need to know about Sky Digital. Bookmark this page in case you need to come back. 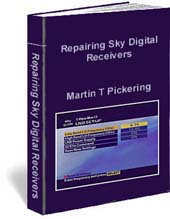 That 7 quid I spent yesterday on the Installing Sky Digital manual is probably going to save my father at least £100 when they take the new sky digital system to France in March. Friends paid the local satellite fitters in France, the equivalent of £100 each to get their systems aligned (not fitted!). Reading the manual last night I have already learned so much, details that will make purchasing the kit here in Wales a lot easier, and will head off problems in France - Cable speccing, alignment with minimal kit, little fitting tips. Wow! Well worth seven quid! Fitting the satellite won't be a problem; the previous owner left the TV aerial on the roof, along with suitable brackets (checked against our Sky system here in Wales), therefore that side of it is sorted. Using your excellent manual will make the alignment and setup a lot easier than the alternative. The alternative being trial and error! All the best, and well done on one of the best resources on the Net for Sky Digital stuff. Companion book to the above "Understanding..". 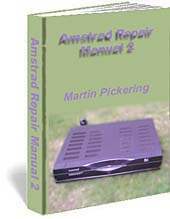 Essential reading if you want to move your old system to a new house, install a brand new Sky-Plus or standard system, fit a system to your house, motorhome, caravan or narrow boat or use it in Europe, this book answers your questions. 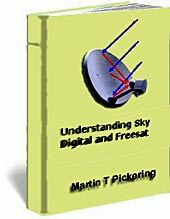 What size dish, what sort of cable, connectors, which receiver is best for outside the UK ... 80 page book filled with colour photographs and easy-to-understand explanations. 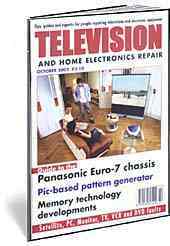 Includes tips on receiving ITV in Europe. 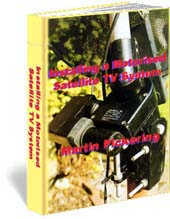 All about Analogue satellite TV installations. Although Sky analogue broadcasts ceased in September 2001, there are still lots of programmes broadcast in analogue. This book answers your questions. What sort of dish, cable, connectors, receivers. How to install. Tricks of the trade. Money-saving advice. ... 112 page book filled with colour photographs and easy-to-understand explanations. Martin has a knack of explaining technical subjects in simple language. Components covered include resistors, diodes, transistors and capacitors. As an example, it describes in detail how to build a flashing LED circuit on perforated stripboard ("Veroboard") with a photograph of every stage. This is NOT just another boring technical book full of mathematical equations. You'll like it! Ideal for everyone from the young student to the retired lady looking for a new hobby. 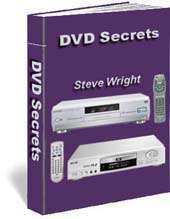 How to connect your TV, video, satellite, DVD and send the signals to TVs in other rooms. An invaluable guide and reference that explains UHF channel utilisation without unnecessary technical terms. Includes sketches to show wiring methods. Everything you need to know about installing a motorised satellite TV dish system for your analogue or digital satellite receiver. Written in plain English with no maths and a minimum of technical "jargon", this book will lead you by the hand. Includes dish angles, declination table etc. 70 pages of information covering most popular models. John Everett shows his unique style of humour, in the form of poems and limericks. This highly amusing book makes the Ideal gift for any photographer. Limericks and poems - each with a hand-drawn illustration. 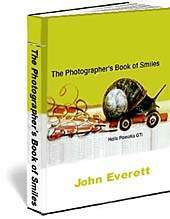 Written and illustrated by John Everett, professional writer and photographer. Advanced frequency modification techniques by Martin Pickering B. Eng. Eproms are often associated with modern microcomputer technology and thought to be equally as complex! However, far from making life complicated, Eproms are as easy to use as any other electronic component and can make simple work of an otherwise difficult circuit. Using simple language and a good selection of diagrams, this book explains how to make effective use of Eprom technology in modern CB radios. By covering a previously unexplained topic, this book will prove to be an invaluable complement to the popular reference manual "The CB PLL DATA BOOK". 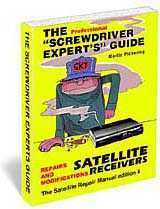 This book is essential reading for anyone wanting to convert a CB radio to work on the American "Novice" Band, or 10 meter Amateur Band. Of course, once you understand the basic principles, you can figure out how to get other bands, too! Fundamentals of Eprom operation - internal storage, Hexadecimal, Conversion tables. 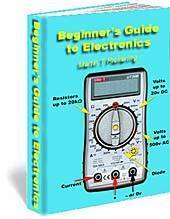 Choosing the right device - Outputs, Transistor inverter, Input voltage, Output voltage. Practical examples - The Cobra 148 on 10 Meters, Cobra 146 GTL, President Adams, Ham International multi-modes, general purpose Eprom board. 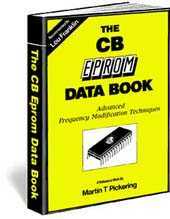 Programming Eproms, erasing Eproms, pinouts of popular Eprom devices, Decimal to binary conversion, 'N'-code tables for popular CB radios. Increasing the frequency range by "pulse subtraction" using ordinary logic chips - a complete example with circuit and explanation is given for 10 metre conversion. 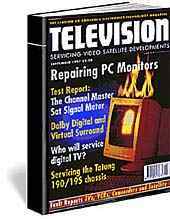 Each month Martin Pickering as "Jack Armstrong" wrote a monthly "Satellite Workshop" column for "Television Servicing" magazine. We've compiled some of the original, unedited versions - that means they are longer and funnier than the published versions. They may contain errors or stories which have never appeared in print. They might also contain the odd note to the editor! It is simply too good to give away for free. 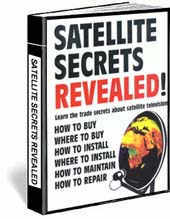 You'll find it in the "Satellite" section of "The Cool Book Shop". 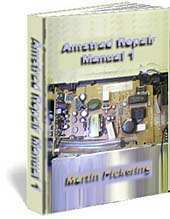 Recently, Martin Pickering as "Jack Armstrong" has been writing a monthly "Jack's Workshop" column for "Television and Home Electronics Repair" magazine. This is a compilation of the articles from early 2001 till September 2002. (If more articles are added you will be entitled to free updates).